The tech brand’s spectacular riverfront outlet combines selling smartphones and laptops with shrewd civic engagement. 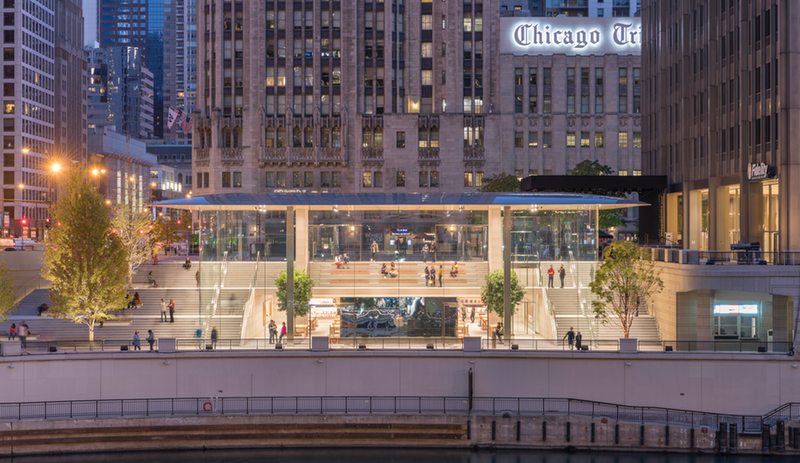 Add Apple Inc. to the growing list of tech giants engaging in semi-official city-building. 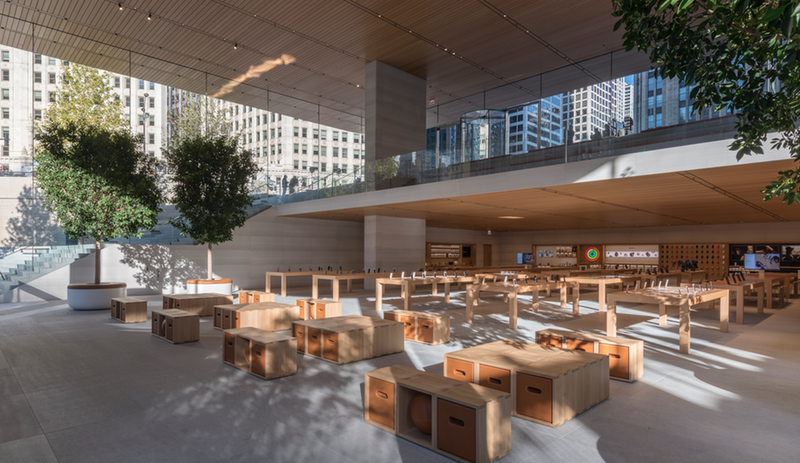 Apple Michigan Avenue, the California-based company’s recently opened new flagship in Chicago, follows in the wake of Google’s proposal to build a high-tech neighbourhood from scratch in Toronto and Amazon’s frenzy-inducing search for a new host city for its second headquarters. 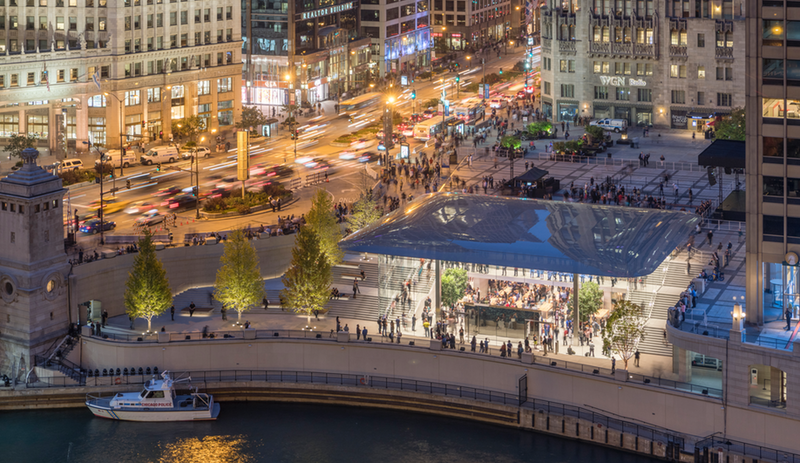 Although the Apple store is smaller in size and scope than those projects-in-progress, it is no less ambitious, creating a new private/public venue that connects a historic plaza to the Chicago River and a prominent new gathering place in the Windy City. 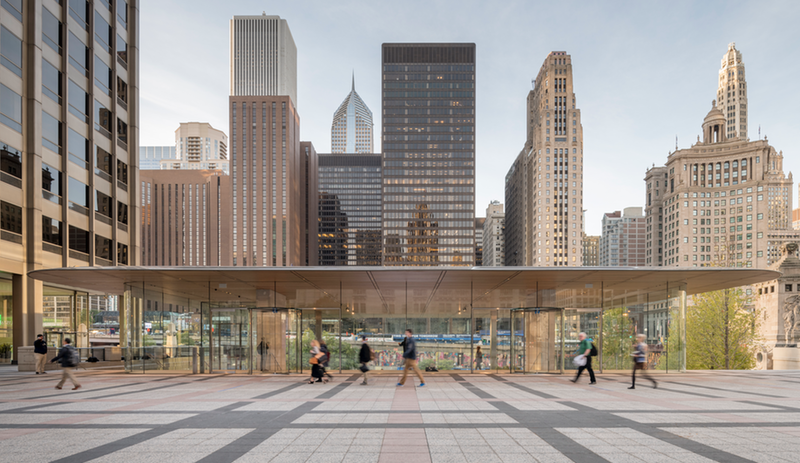 Located where the Chicago River meets North Michigan Avenue, the store sits atop a wide granite staircase that cascades gently from Pioneer Court, a busy plaza in the shadow of the neo-Gothic Tribune Tower, to a waterfront promenade known as Riverwalk. In advance of the Nov. 3 release of the new iPhone X, hundreds of prospective customers camped out on the plaza, which had long been cut off from the water. 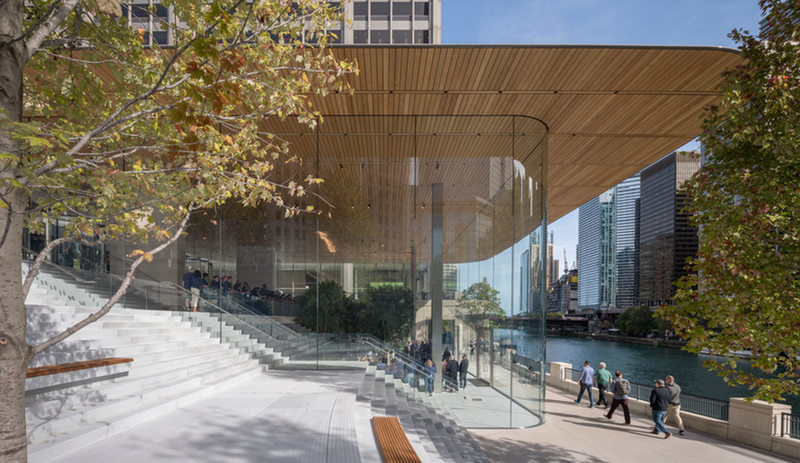 The new steps transition seamlessly between the outdoor staircases on either side of the building and its interior, passing under glass walls that reach as high as 10 metres. 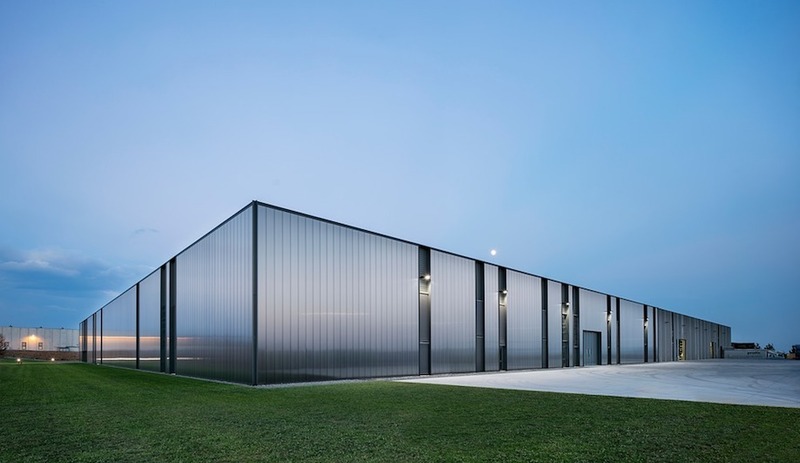 Inside, the store’s buzzing centre is sheltered by an ultra-thin carbon fibre roof measuring 34 by 30 metres. 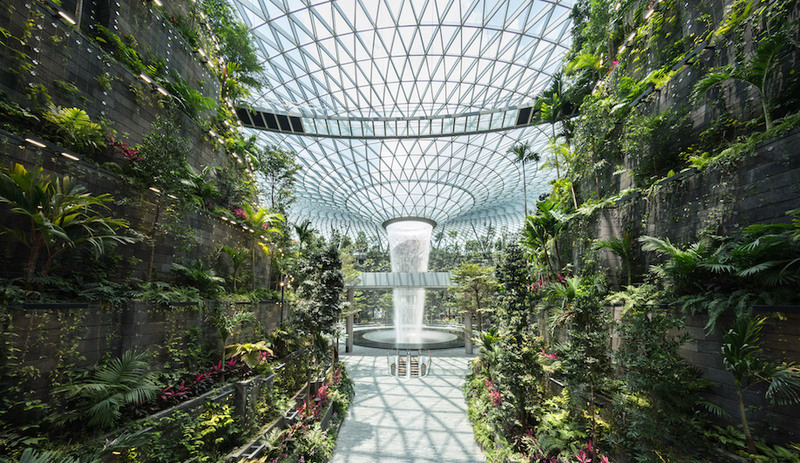 The roof is supported by slender structural columns made of brushed stainless steel. Their thinness allows for unobstructed views from the plaza at the top of the stairs to the river. 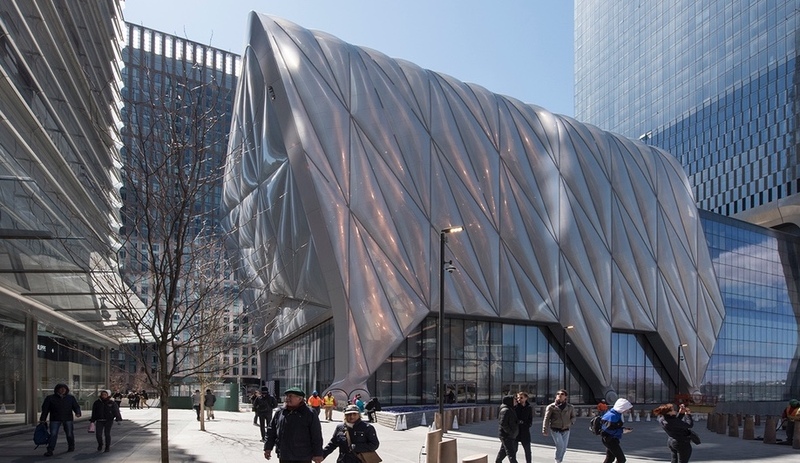 As the interior of the store steps down to the water, it also acts as an amphitheatre-like seating area around the Forum, an event space designed to host free public programming such as music and photography workshops and coding and app design seminars. 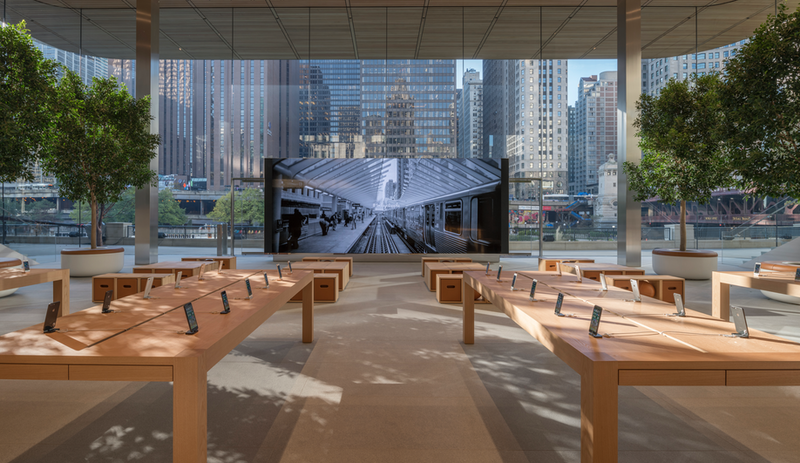 During the planning and design process, the Apple team worked closely with the City of Chicago to develop the site, a historic spot where Chicago’s first permanent resident, Jean Baptiste Point de Sable, put down roots in the 1700s. 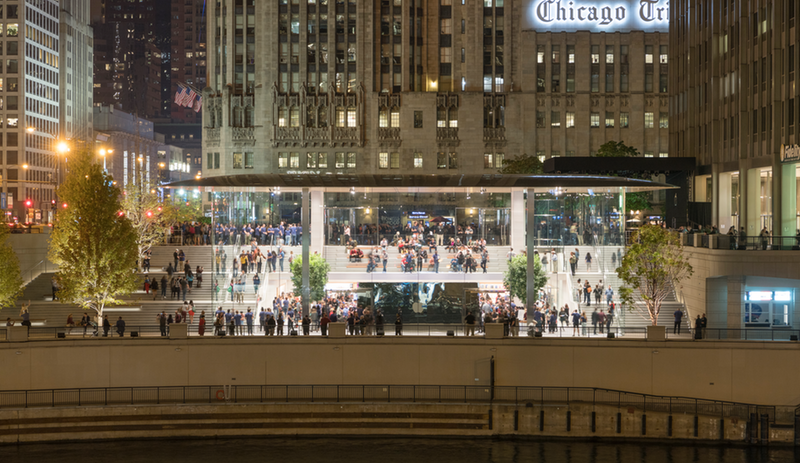 Whereas Apple was seeking, in the words of Ahrendts, a new way for customers to “experience all of our incredible products, services and inspiring educational programs in the heart of their city,” municipal leaders aimed for a key piece of connective infrastructure that draws residents and visitors to the river. 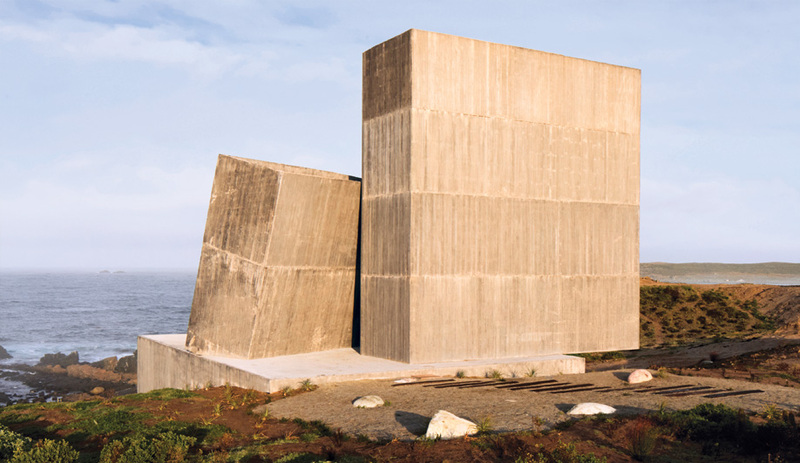 In this case, their objectives coalesced, with impressive architectural results.